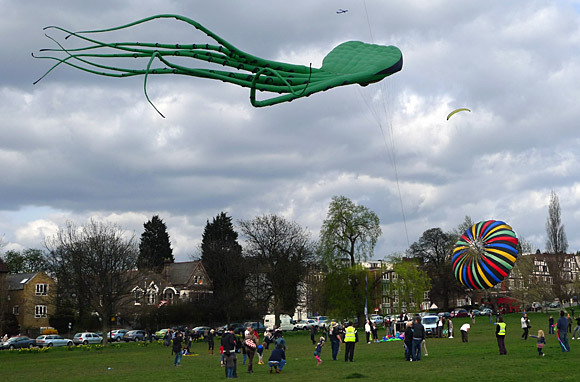 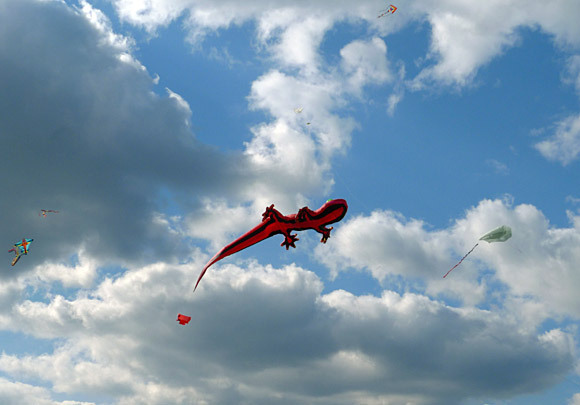 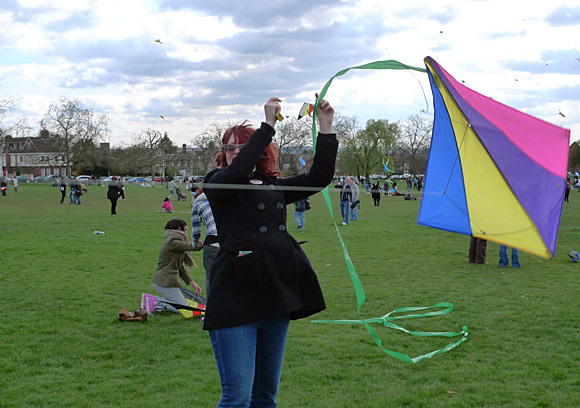 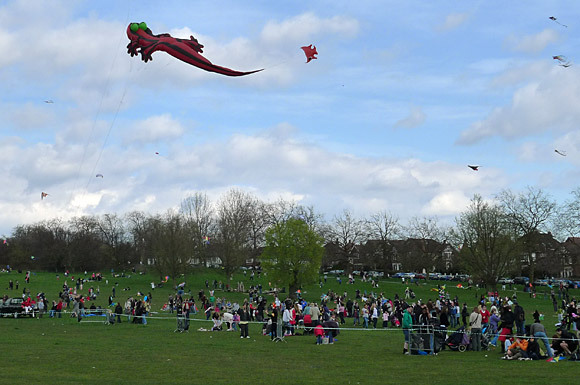 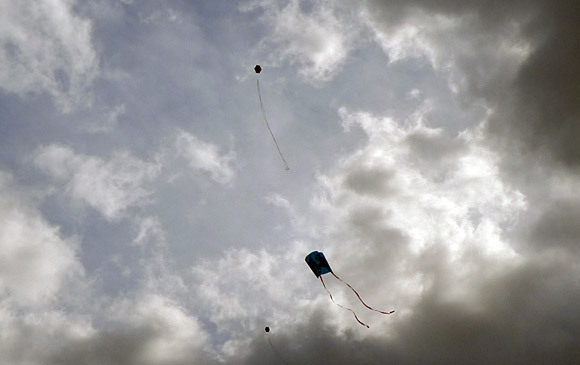 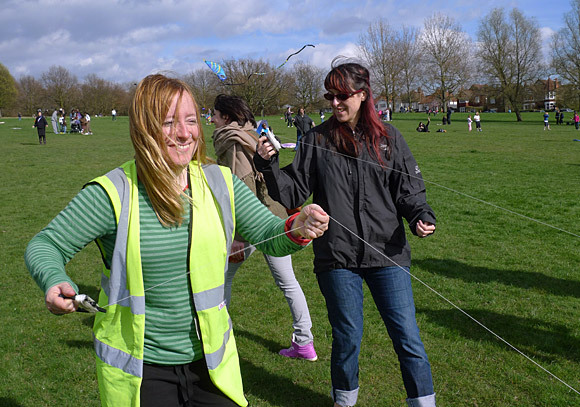 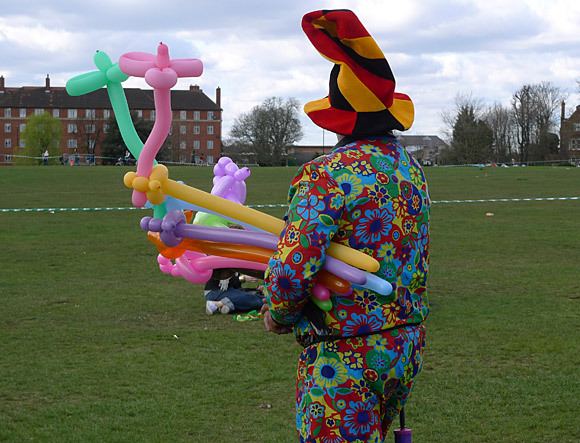 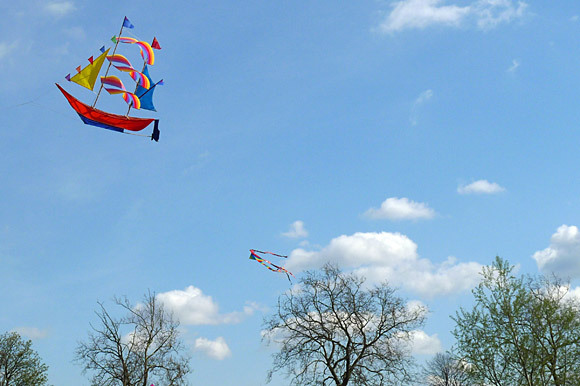 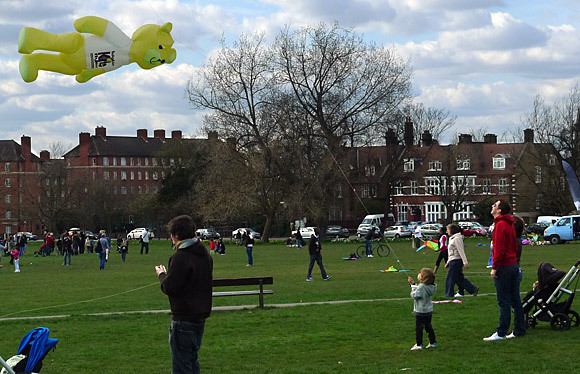 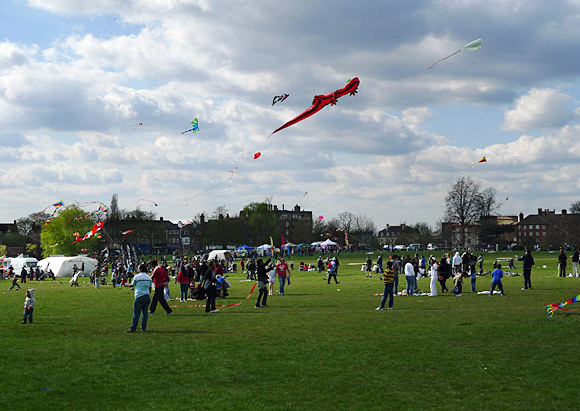 Now in its twelfth year, the Streatham Common Kite Day is a great free day out. 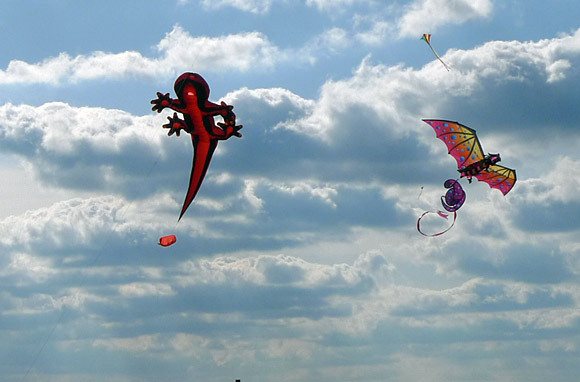 The weather was nearly perfect too, with plenty of gusts keeping the kites airborne. 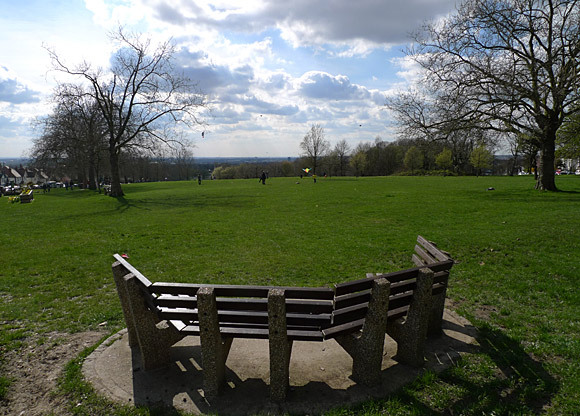 We cycled in from Brixton, and arrived at the eastern end of the Common which has great views over south west London. 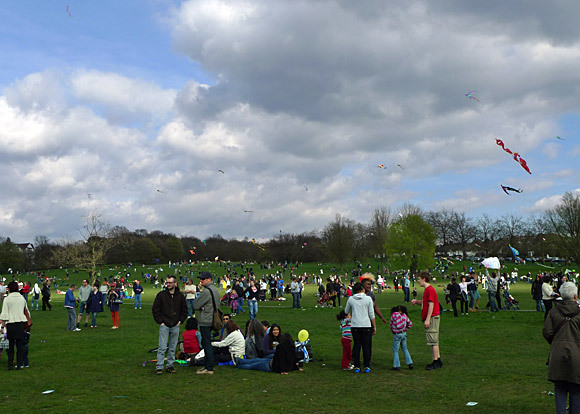 There was a good crowd of people flying kites. 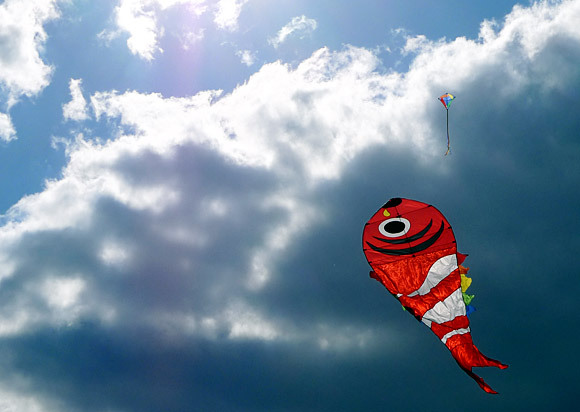 Red fish with a big eye against a brooding sky. 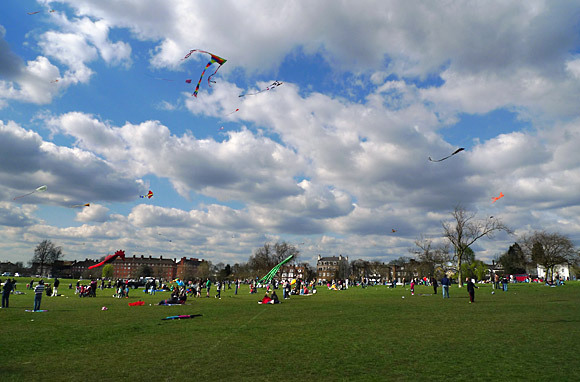 When the sun went out it was f-f-f-reezing! 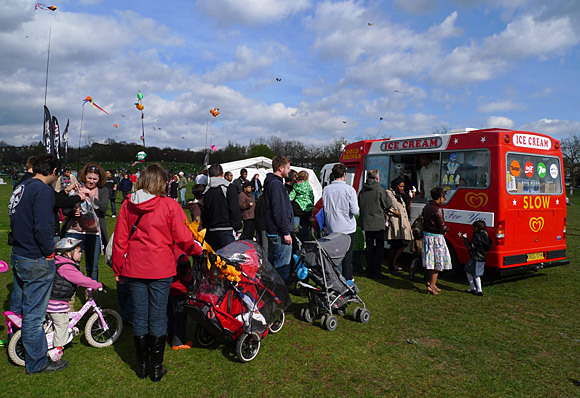 Big queue for the ice creams! 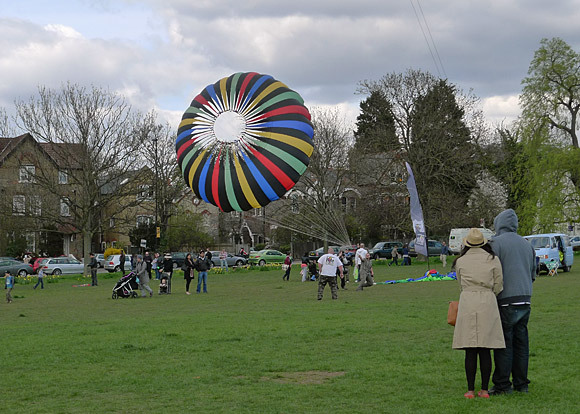 A couple watch the parachute. 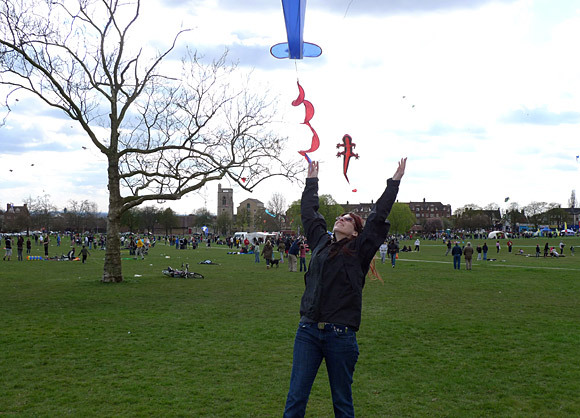 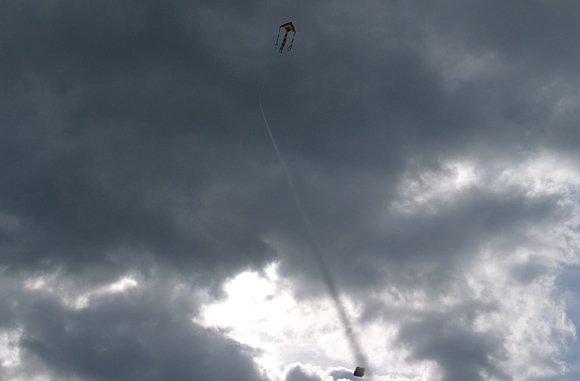 This was a ridiculously easy kite to fly. 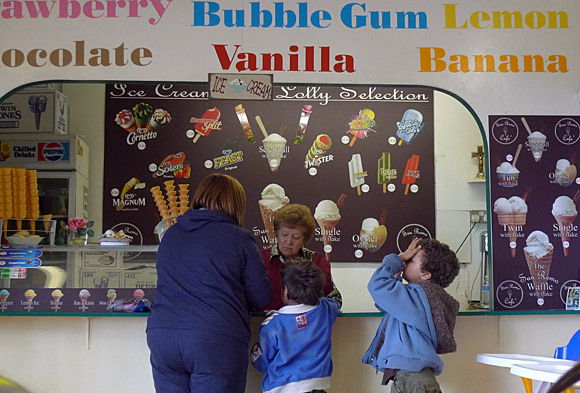 By the end we were absolutely freezing, so went to the Rookery cafe for a warming cuppa.